An icon can be measured by the extent of his musical talent and the lavishness of his wardrobe. Over the years, Michael Jackson has definitely showed his individuality and star power through his out of this world fashion choices. 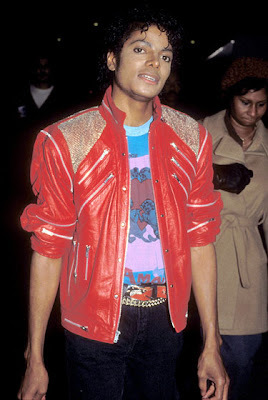 Remember the one of a kind red leather jacket from the Beat it video? 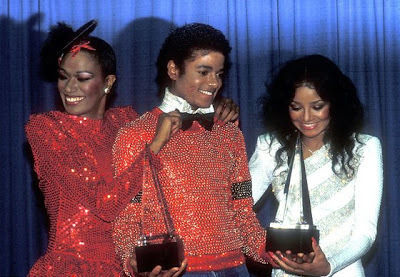 What about this encrusted sweater he wore at the 1981 American Music Awards? Again in red, my favorite color. Who could forget this white tux? In his own Michael Jackson way, he paired the chic tux with skinny black pant and a gold belt for the 63rd Academy Awards. Perfect. Michael has a very special place in our hearts not only for his music that transcended gender, race and generations but also for his fab sense of style. PYT. Photo credits: WireImage. Visit New York magazine for complete slide show.